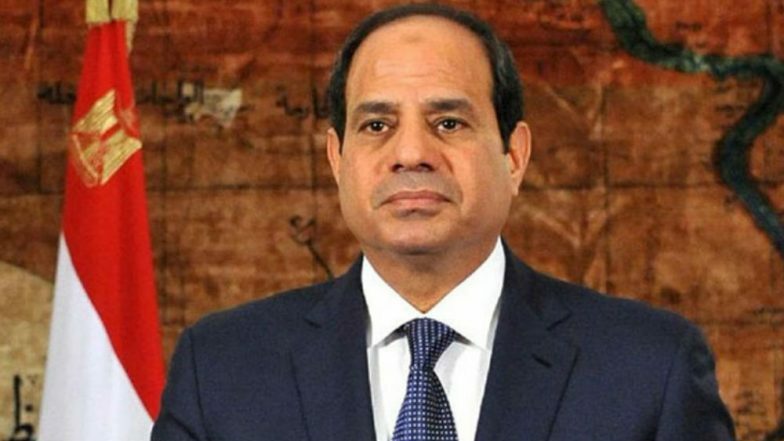 Libya, April 14: Egyptian President Abdel Fattah el-Sisi met General Khalifa Haftar in Cairo on Sunday to discuss the latest developments of Haftar's self-styled Libyan National Army (LNA) which is set to take over Tripoli very soon, Sisi's spokesperson said. Quoting the spokesperson, Al Jazeera, reported that Sisi has been an ardent supporter of Haftar's forces, which controls parts of eastern Libya. However, no other details about the meeting were available. On Saturday, an air raid by Haftar's forces hit the yard of a school on the southern outskirts of Tripoli, where Haftar's forces have been confronted by forces allied to United Nations-backed Prime Minister Fayez al-Serraj. Meanwhile, Tripoli government spokesperson Mohanad Younes was quoted as saying that Tripoli will only agree to a ceasefire only if the LNA troops return back to the east. Haftar announced an attack against Tripoli on April 4 to capture the capital and the entire west of Libya from the UN-backed Government of National Accord (GNA), headed by Serraj. The latest report issued by the UN noted that 121 people were killed and over 500 people have suffered injuries in the ongoing political crisis in Libya. "#LibyaCrisis casualties are 682: 121 dead and 561 wounded. WHO sending medical supplies, health staff support for first- and second-line responders," the UN Mission in Libya tweeted. The report informed that the number of individuals who have fled their homes due to the current hostilities is now approaching 16,000. Over 2,000 of whom were displaced in the past 24 hours alone, it added. Eight ambulances have been struck by weaponry since the beginning of the current hostilities. So far some 4,000 people have been reached with some form of humanitarian assistance, the report said.